Sunpower Electronics Ltd is approved to BS-EN-ISO 9001:2015 and our factories are approved to both ISO-9001 and ISO-14001. As a group our aim is total customer satisfaction and continuous improvement. Those that buy in small volumes have always been forced to buy through the distribution channels, although they generally have products available to you in stock you may have to pay higher prices for the convenience and often loose the technical support and advice available through the manufacturer. Why are we different to other power supply suppliers? Medium to large requirements have gone direct to the manufacturer but even with very high prospective run rates the responses received are likely to be mixed, delayed by time zones, and important information sometimes lost in translation. Business terms can also be imposed in the form of minimum order levels, pro-forma payment periods and extended delivery lead times, often taking the benefits out of a direct relationship. This is where Sunpower Electronics Ltd is different; we do not fit into the often limited category of a distributor or manufacturer. We are the UK arm of a Taiwanese manufacturer as well as having extremely strong bonds with other, highly skilled factories and engineers in China. Approved to BS-EN-ISO 9001:2015 our aim is total customer satisfaction and continuous improvement; our factories are also approved to both ISO-9001 and ISO-14001 ensuring you receive an unsurpassed level of service, support and product knowledge to supply you with the best product for your particular application. 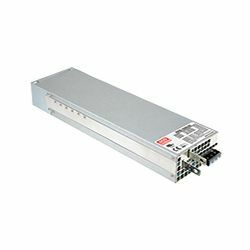 We offer a range of “off the shelf” products from low power DC/DC converters through to parallel-able & hot swap 3000W industrial units that are available from stock or can be delivered to you in as little as 2 weeks. If a standard unit does not quite meet your requirements rather than going off to create a custom design, we will first consider modifying a standard unit to suit your requirements; if this is not feasible we would then guide you through the custom design process. Wherever possible we will adapt ourselves to fit around your requirements making us more cost effective and flexible in the supply of your products. For more information on the service and support available to you when you discuss your power supply needs with Sunpower please refer to our design capabilities section. We believe our unique close links with the Far East and dedication raises us above all others in the market place. As well as our own manufacturing facilities in Shanghai and Taiwan we are Authorised distributors for Mean Well Enterprises providing you with a cost effective and direct way of obtaining their dependable and high quality power supplies. 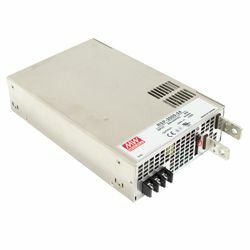 Purchasing all of your Mean Well power supply needs via us also provides you with an unsurpassed level of service, support and product knowledge to ensure you are supplied with the best product for your particular application. 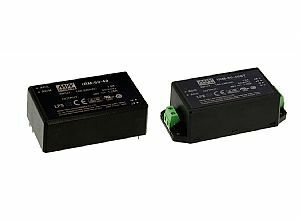 Mean Well Enterprises manufacture product lines include AC/DC switching power supplies, LED drivers, DC/DC converters, DC/AC inverters and battery chargers. 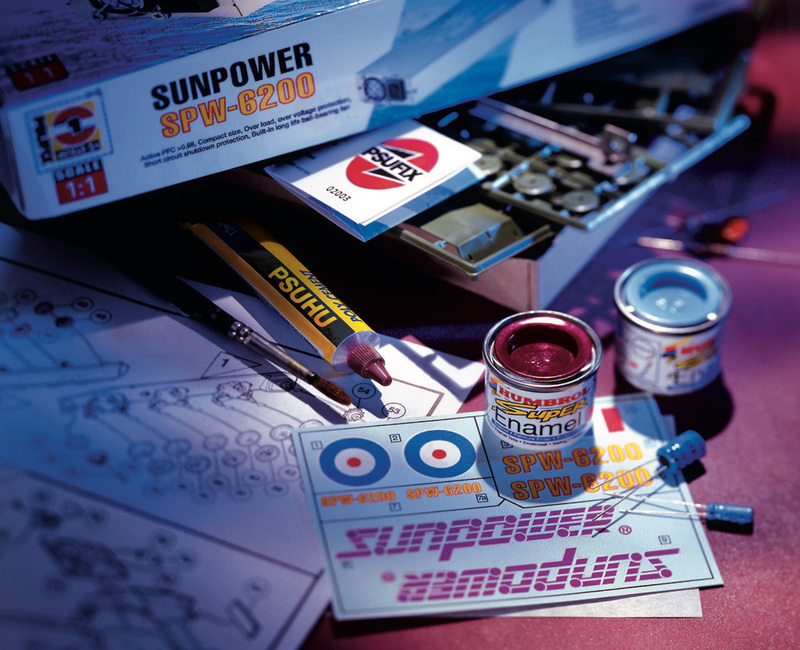 As Meanwell’s 1st and longest-standing distributor for the UK and Ireland purchasing all of your Meanwell power supply needs via us provides you with an unsurpassed level of service, support and product knowledge to ensure you are supplied with the best Meanwell product for your particular application. Sunpower are ideally placed in Berkshire along the transport corridor for major London airports and southern ports. We are only 8 miles from the M4 and 11 miles from the M3. 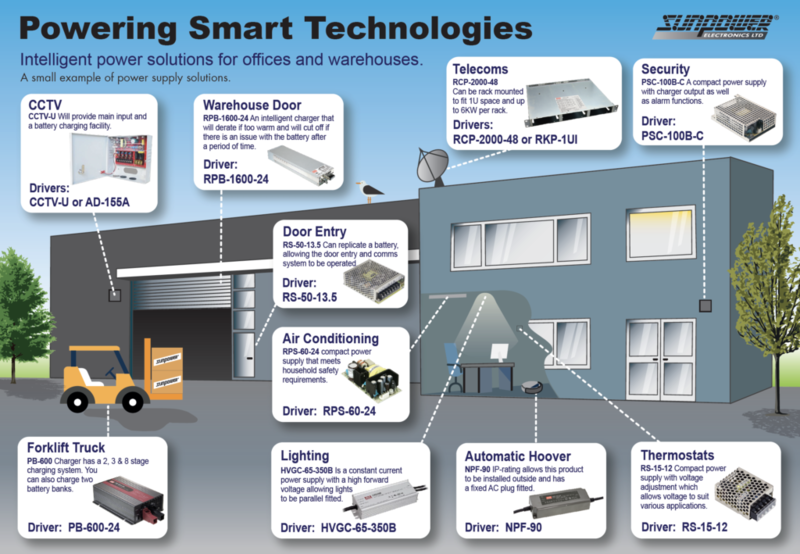 Enabling us to ensure efficent, cost effective and timely transportation from our factories, into our warehouses and onto our customer base.